If you're lucky enough to have already found that perfect Christmas gift for someone, then this seasonal gift box is the perfect way to present it to them. 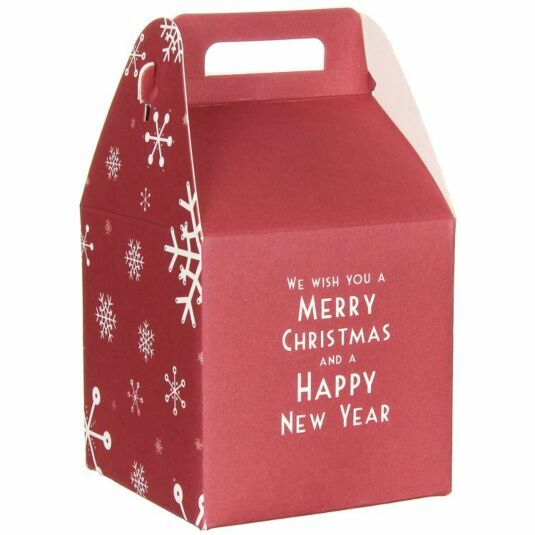 The square box is made from Christmassy red card and is decorated with white snowflakes on its sides. On the front is the message: 'We wish you a merry Christmas and a happy New Year'.